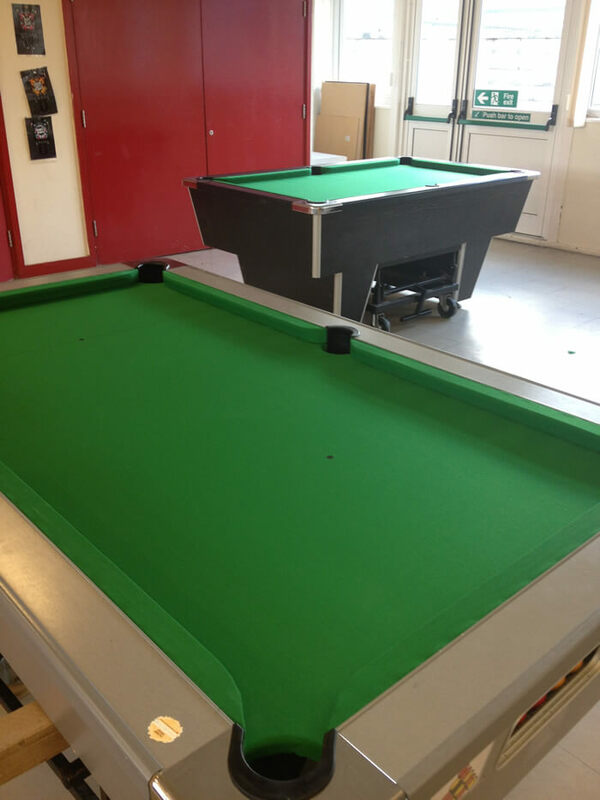 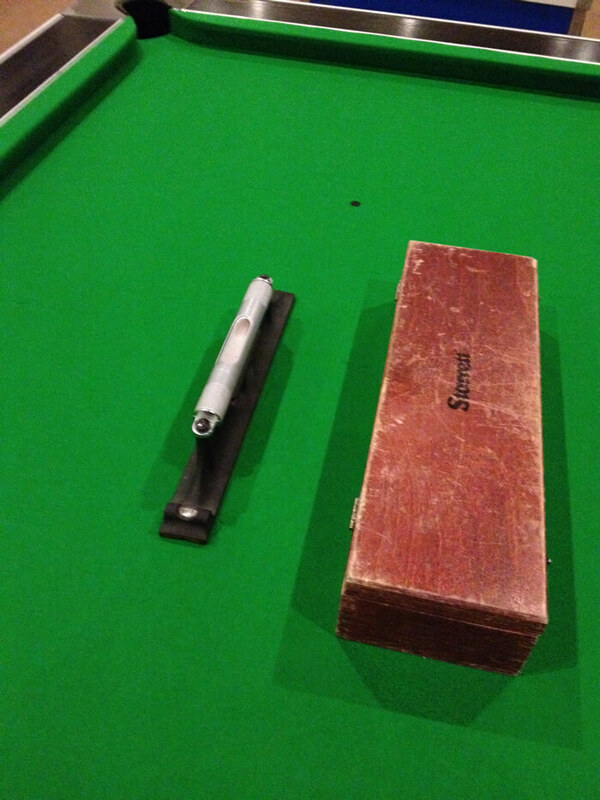 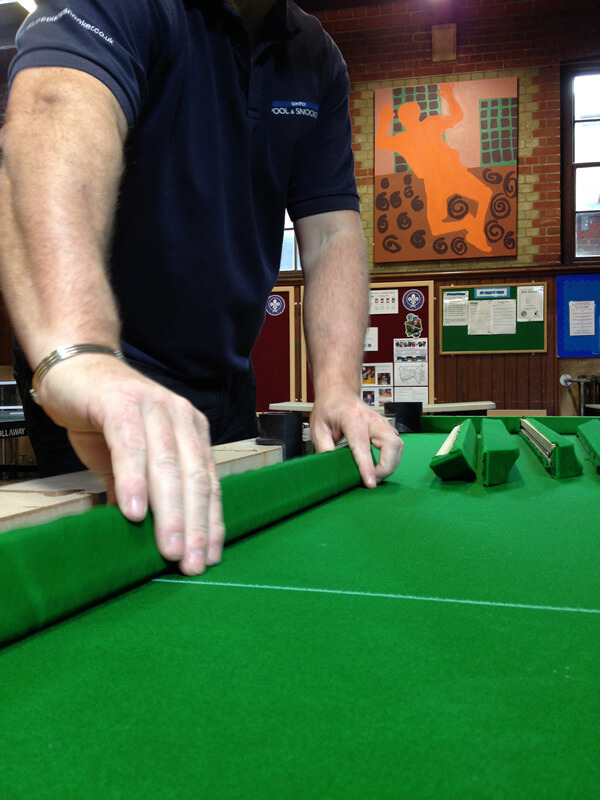 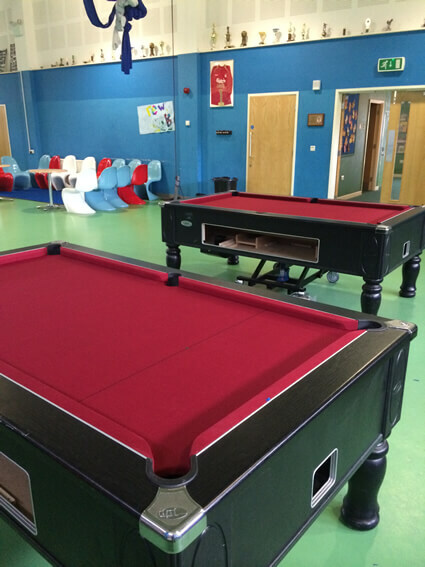 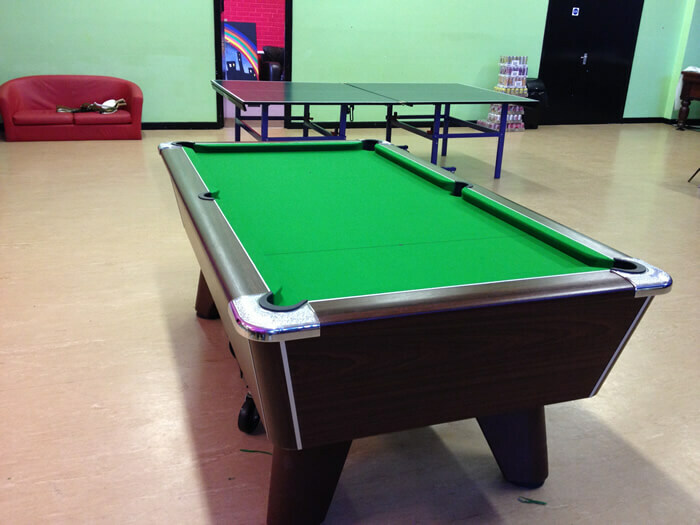 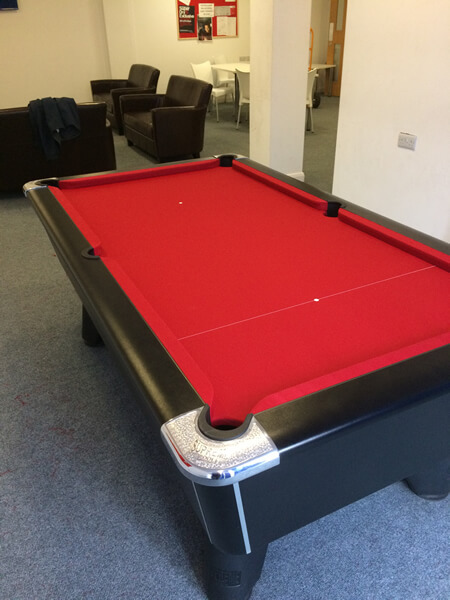 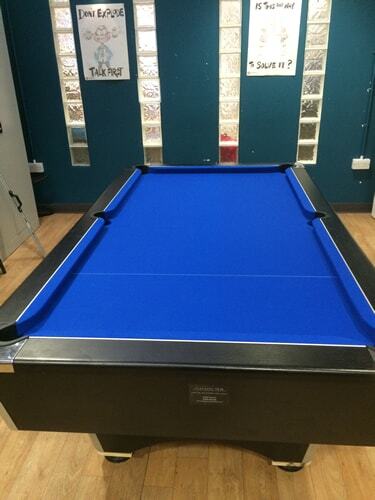 Pool table recovering, repairs, refurbishment and maintenance at Simply Pool and Snooker is carried out by our own, fully qualified fitters who have over 35 years of experience in the cue sports industry. 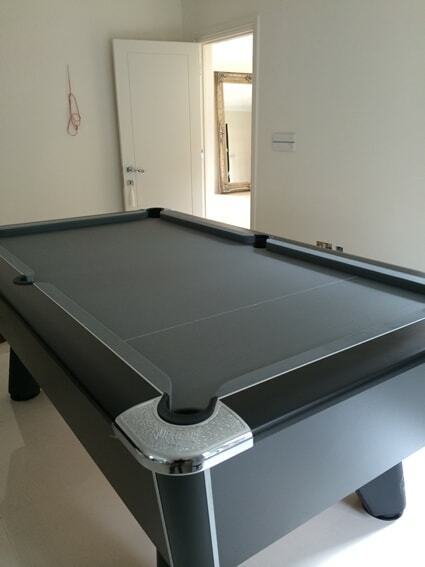 Therefore you can feel rest assured that all work will be completed promptly, professionally and with the minimum of fuss to you the customer. 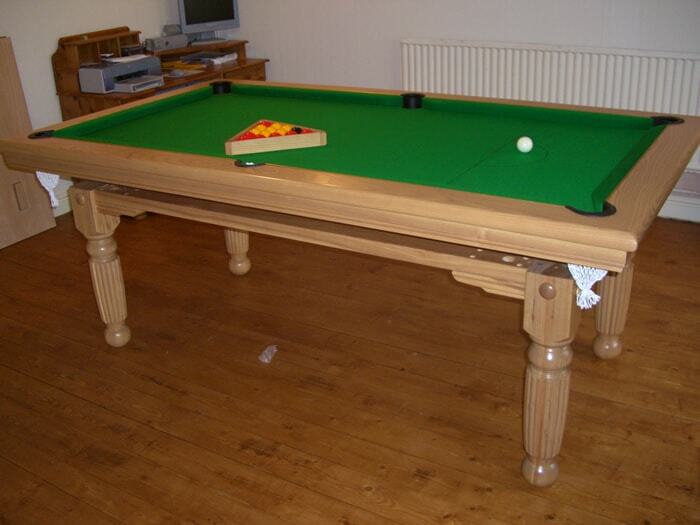 Our pool table recovering service is based in Rochester, Kent. 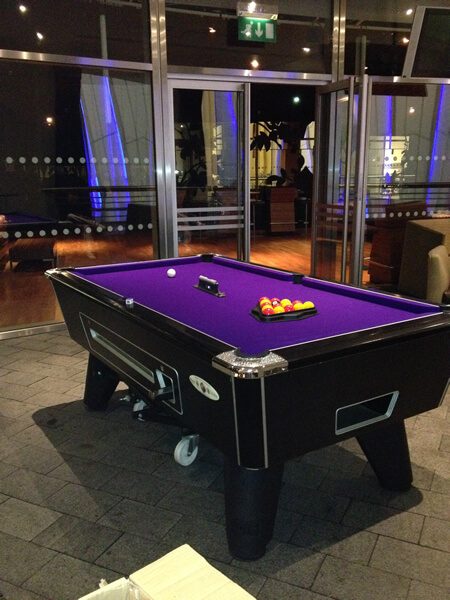 With good links to the M25 and adjoining Motorways, this enables us to cover London and the entire South East region. 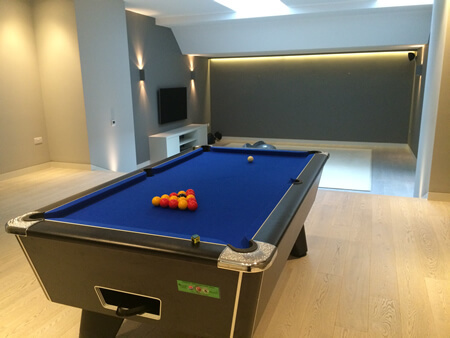 Some of the areas we include are Kent, London, Essex, East Sussex, West Sussex, Surrey, Hertfordshire, Berkshire, Buckinghamshire, Oxfordshire, Cambridgeshire, Hampshire, Wiltshire and Bedfordshire. 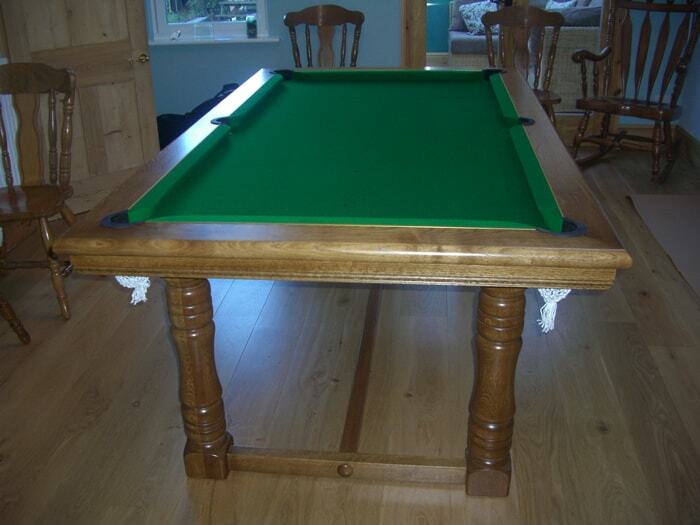 For pool table recovers and pool table repairs look no further! 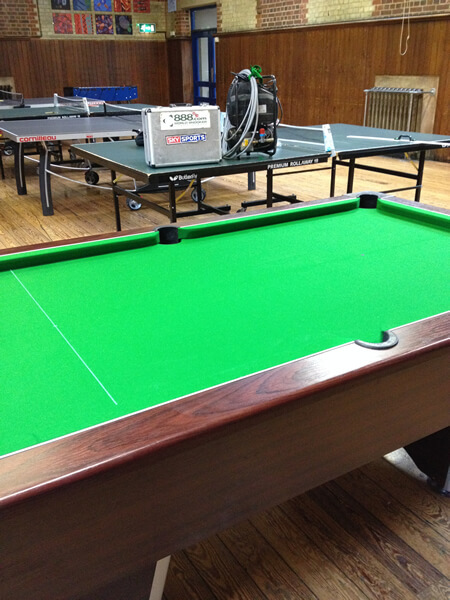 All pool table recovering is carried out using the finest woollen napped cloth or nylon speed cloth. 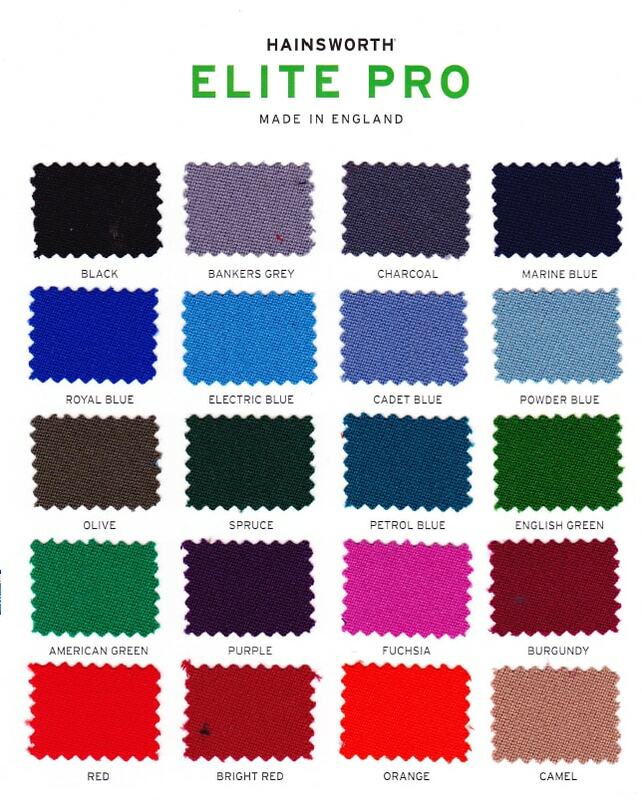 Swatch samples are available for the many colours to choose from such as red, blue, green, black, purple, burgundy, tan, orange, pink, paprika, gold, sage, cherry, taupe, silver and many more manufactured here in the UK by leaders in the market Strachan and Hainsworth. 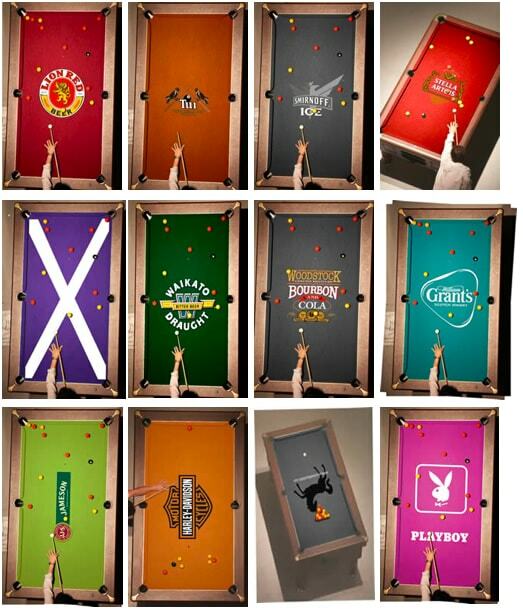 Custom printed cloths are available at an extra cost subject to copyright. 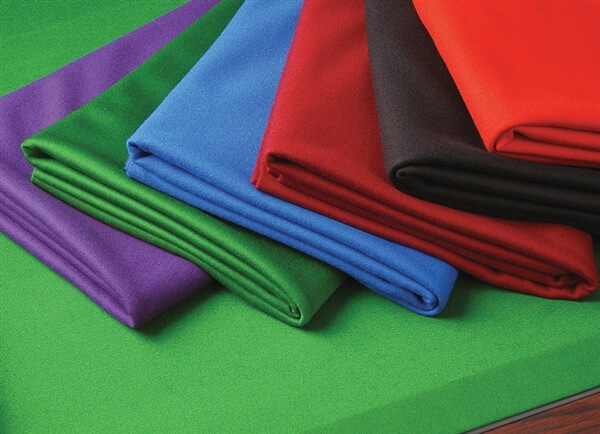 We can print any logo, image or design onto various cloth colours using a deep dyed printing method which will not deflect the ball and will wear at the same rate as the rest of the cloth. 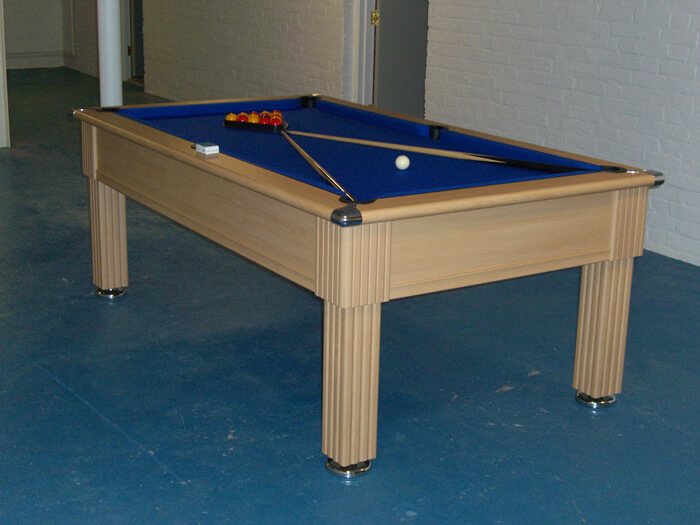 All we require from the customer is a JPG or PDF image. 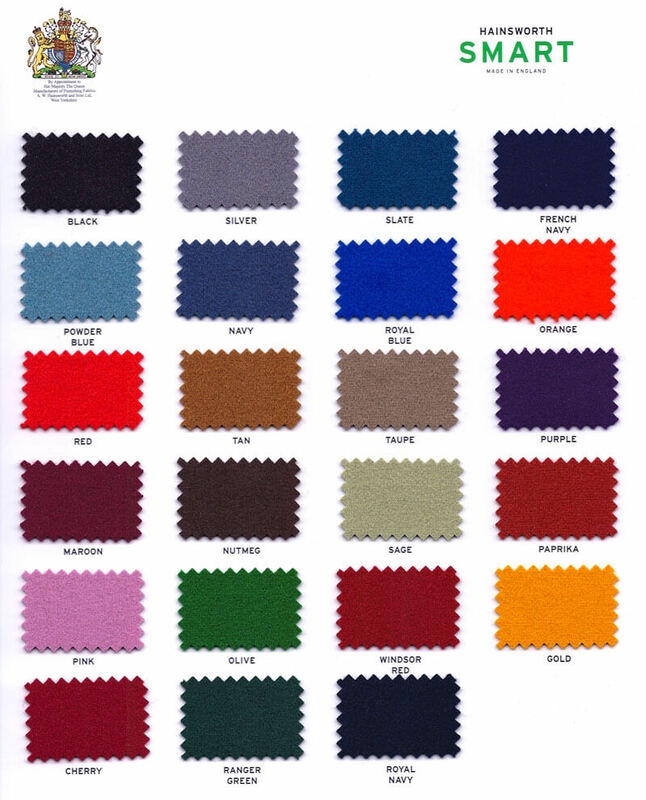 The price of this service will depend on artwork and how many colours go into the image. 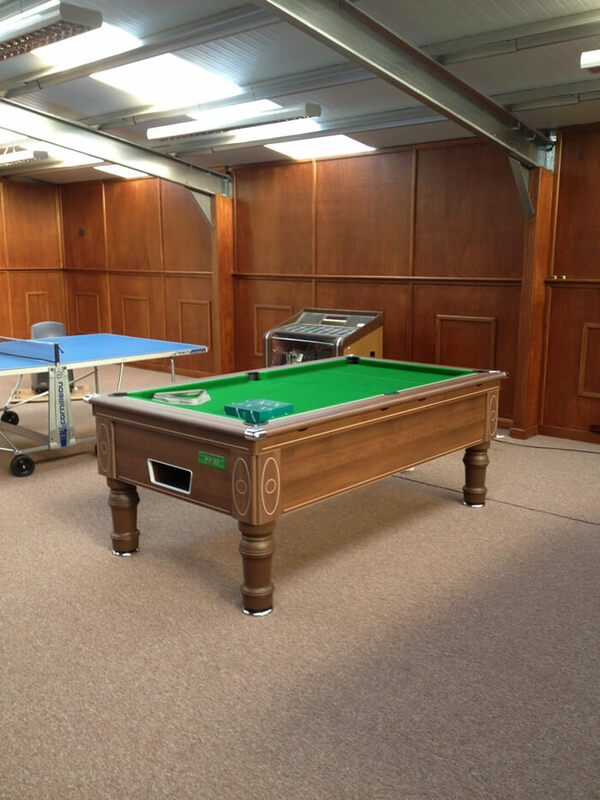 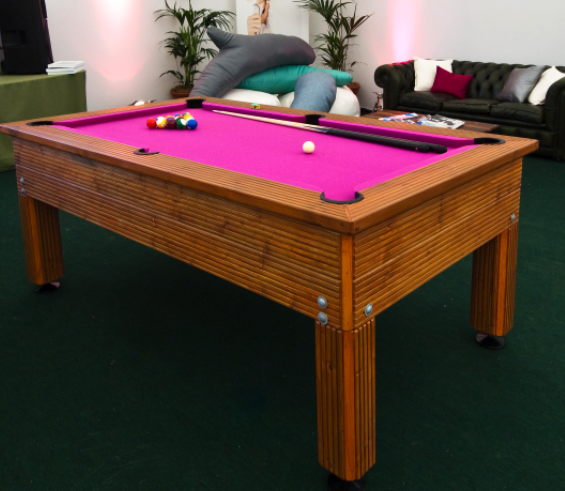 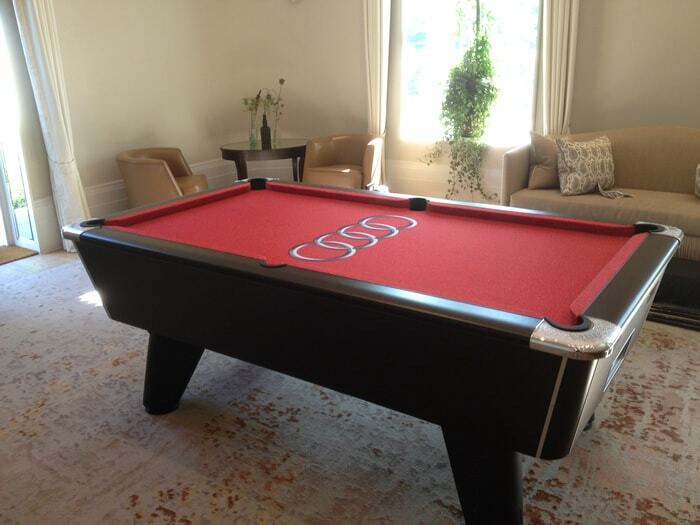 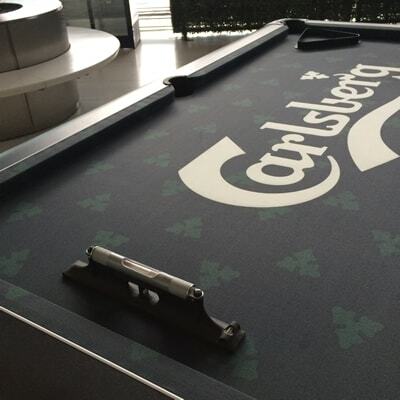 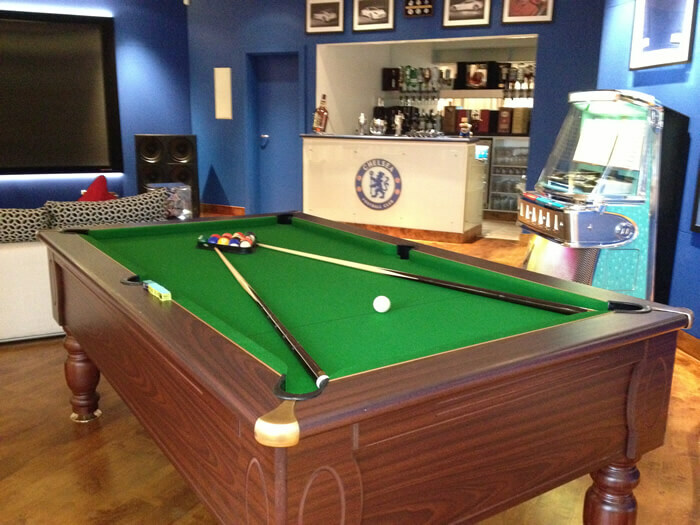 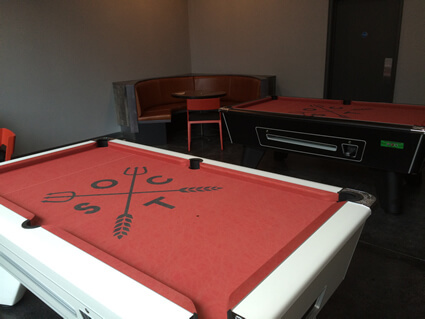 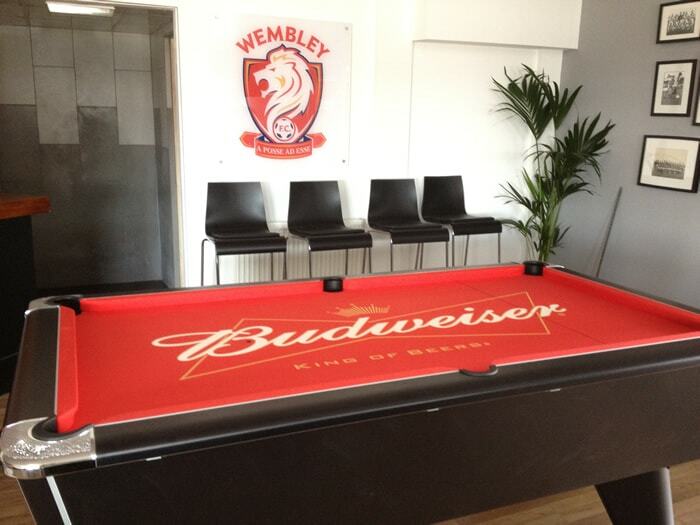 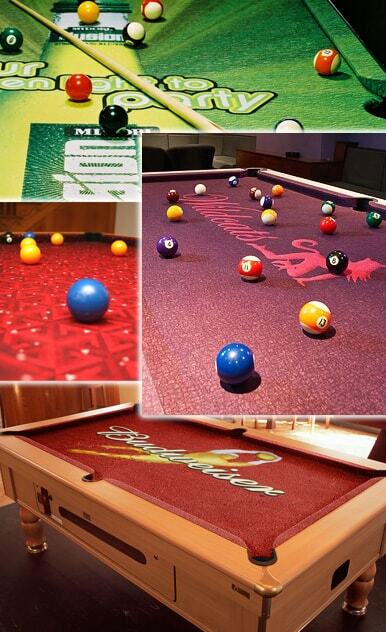 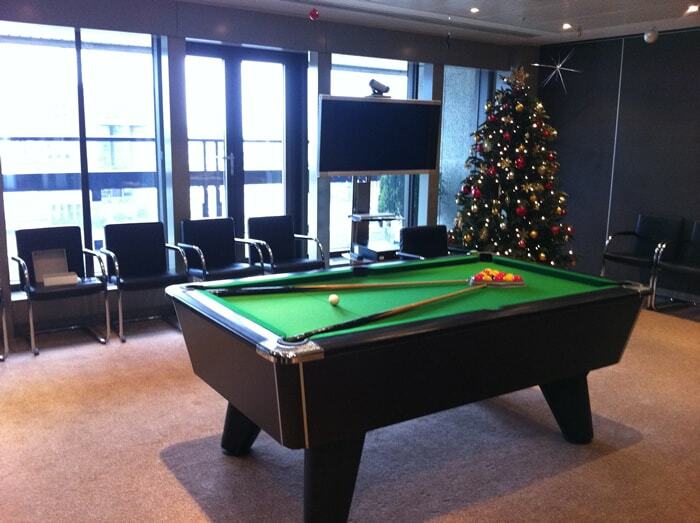 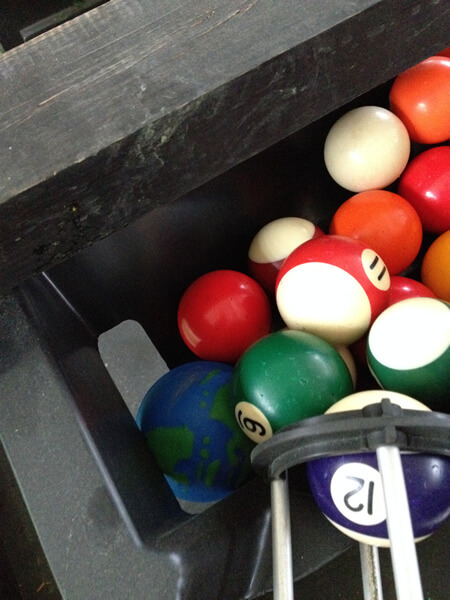 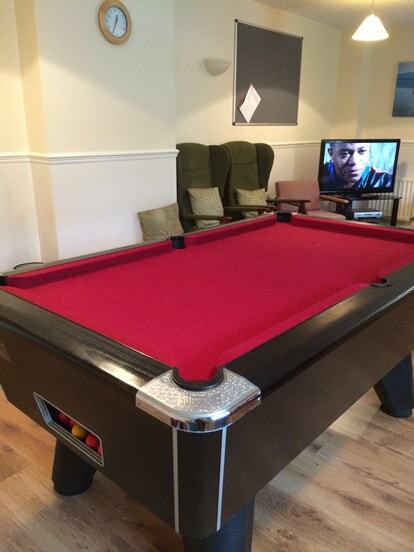 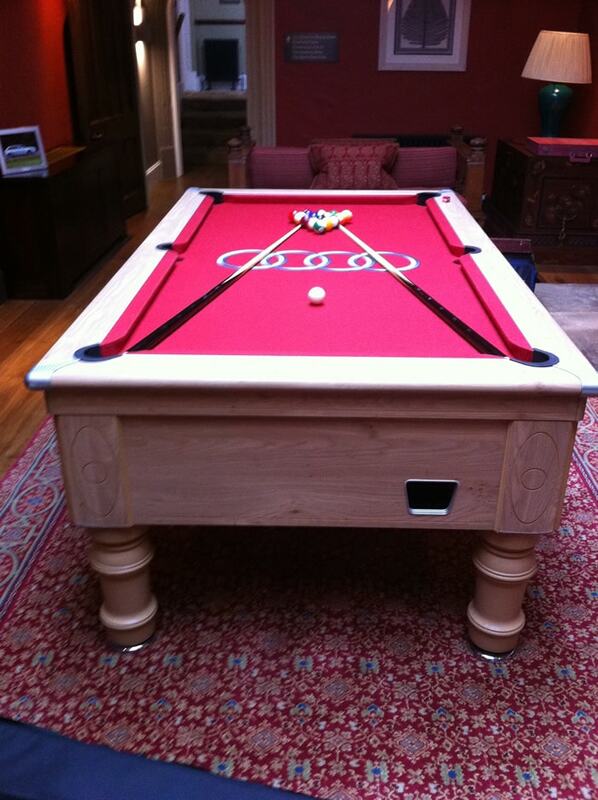 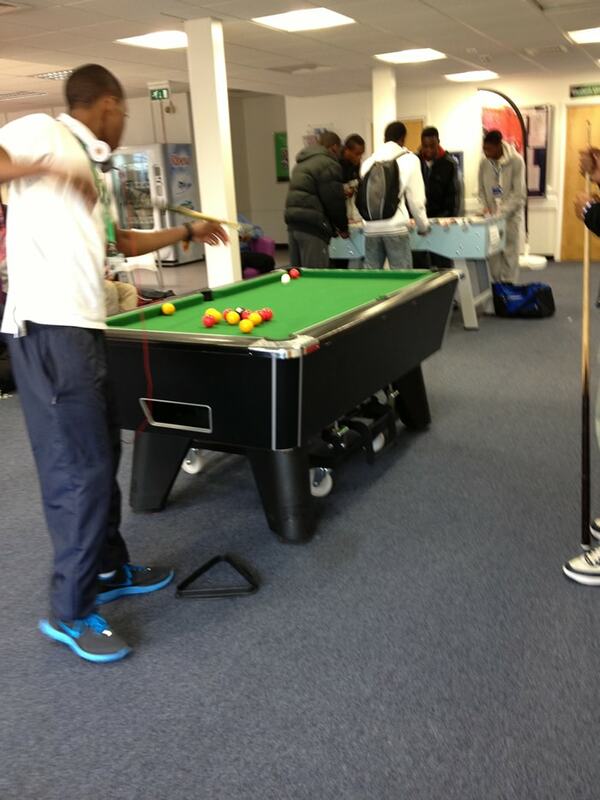 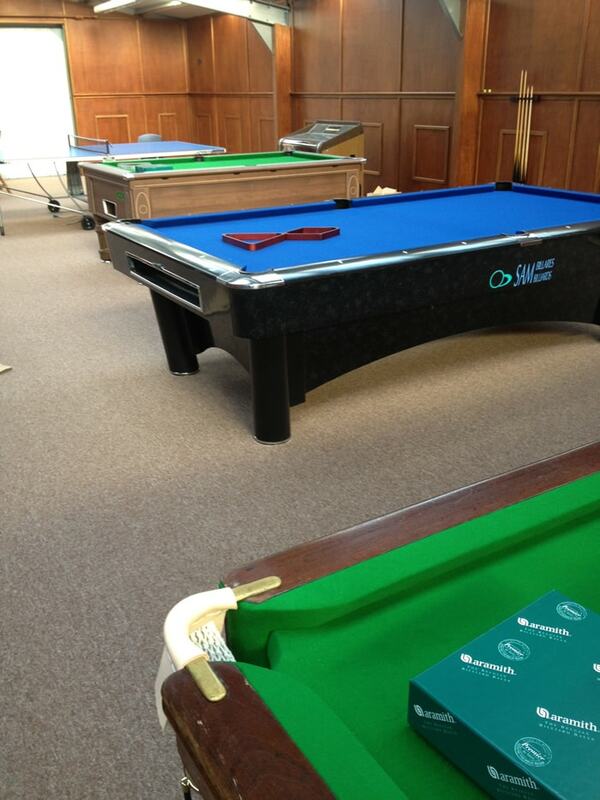 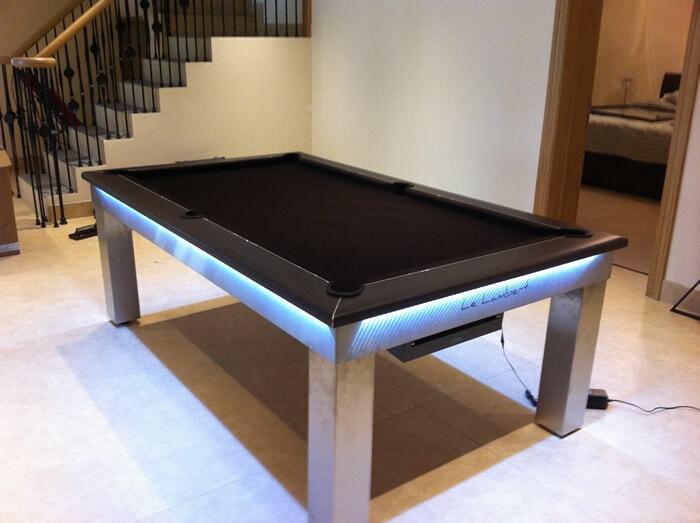 Whether our custom cloths are fitted onto a new or old pool table the WOW factor is achieved every time. 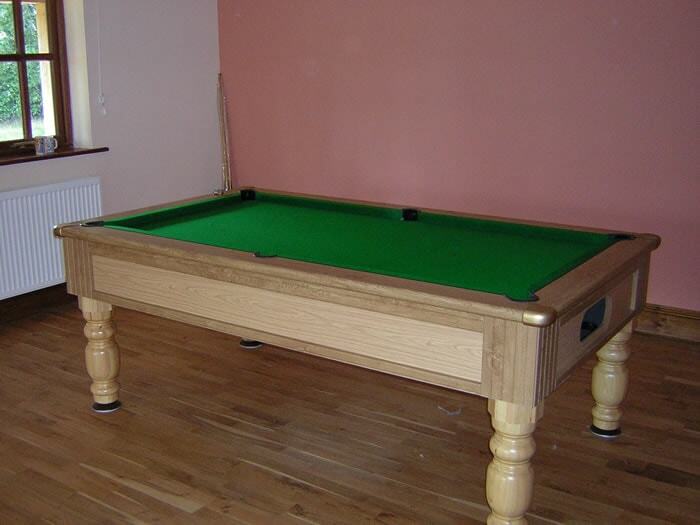 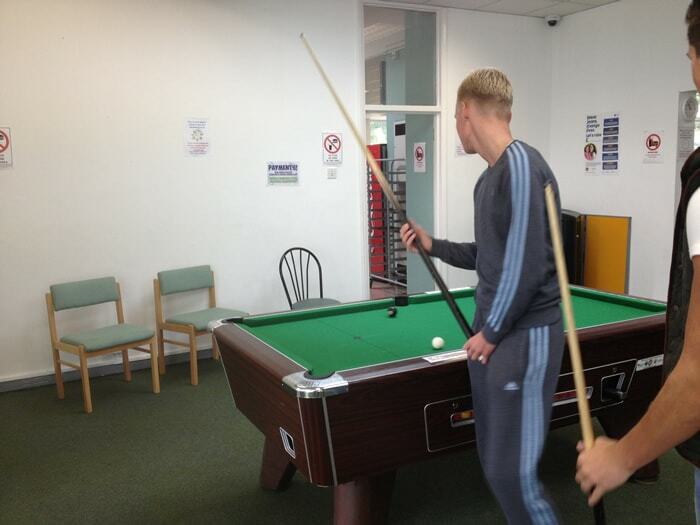 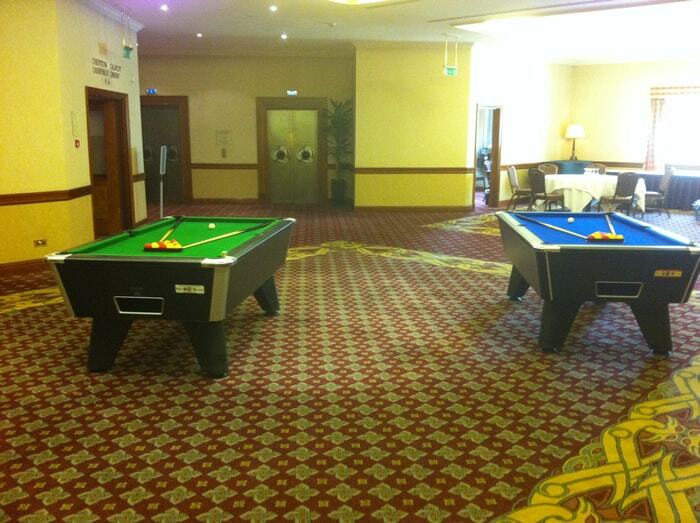 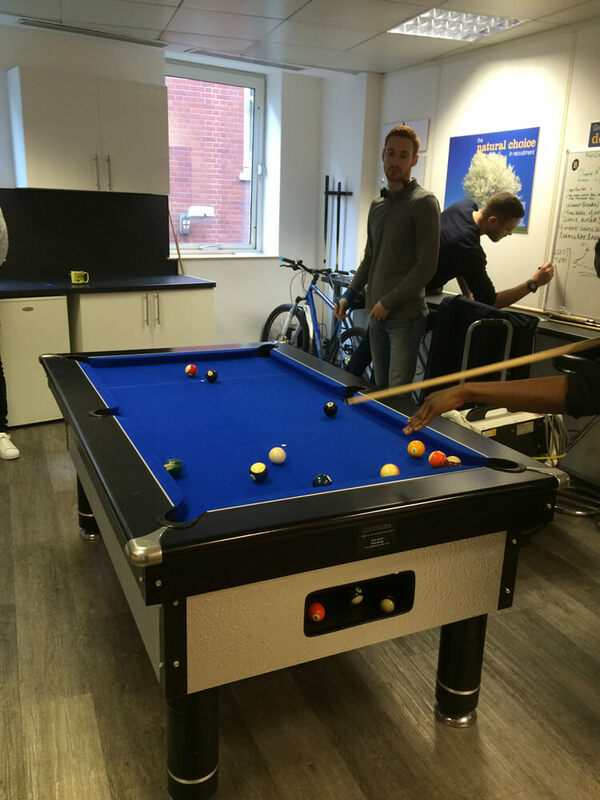 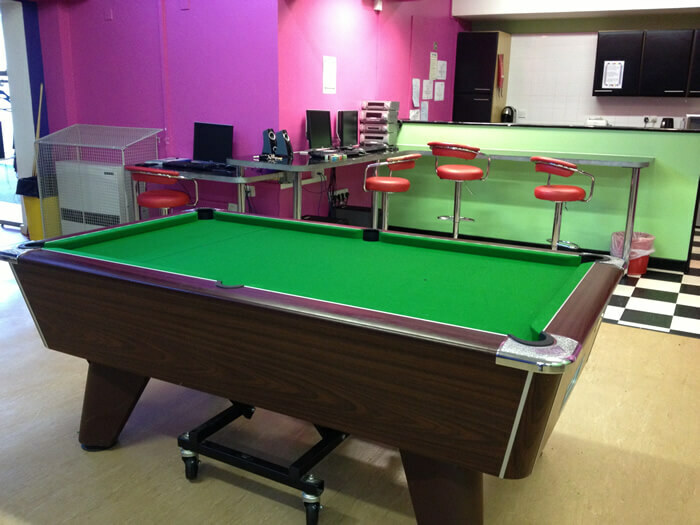 All pool table recovering work and pool table maintenance is carried out on sight. 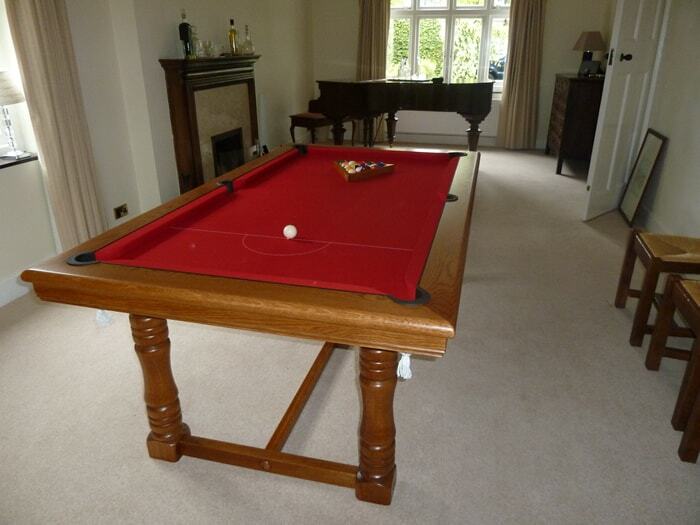 On arrival our fitter will inspect the pool table to ensure the cushions etc. 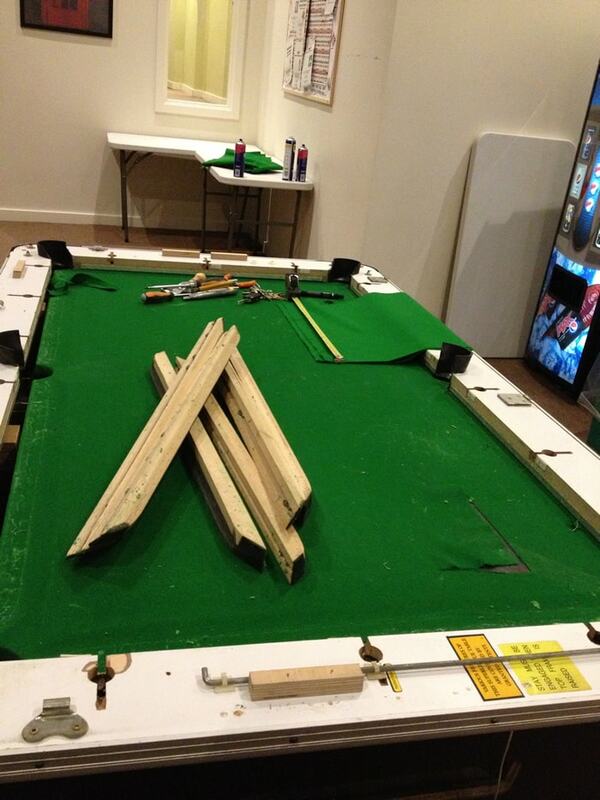 are in perfect working order prior to carrying out the pool table recovering. 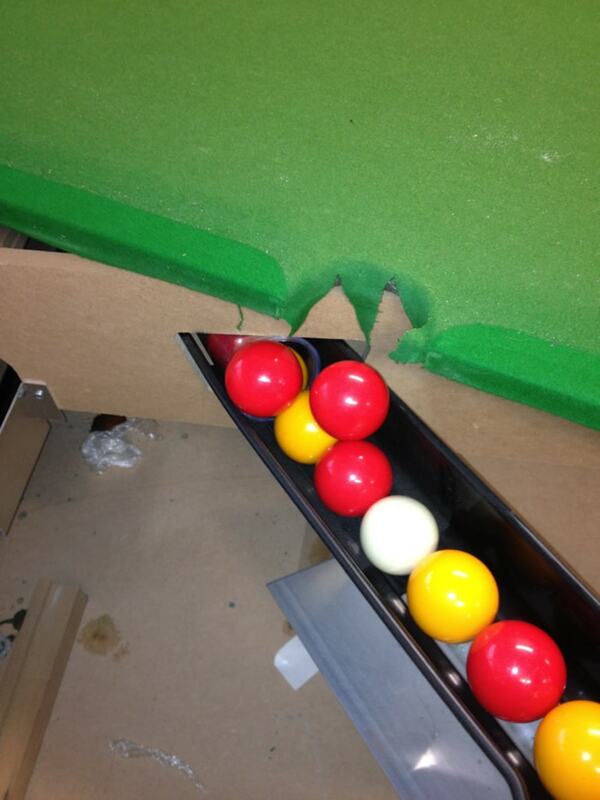 Occasionally we come across cushions that are hard or soft and spongy. 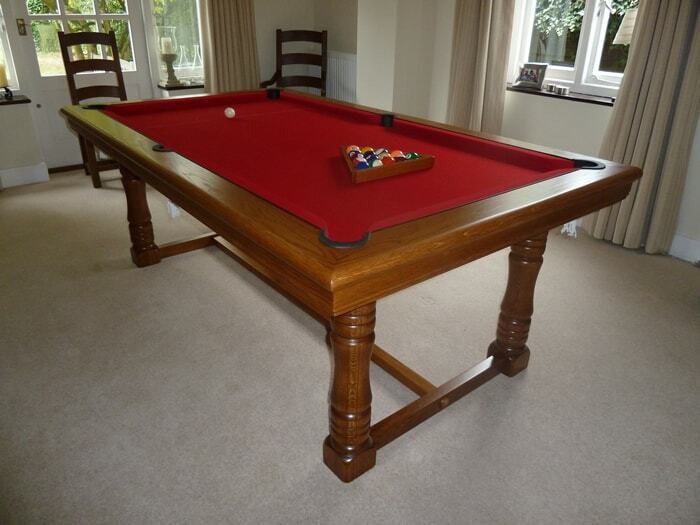 Going ahead with the pool table recovering at this stage would not be cost effective to the customer. 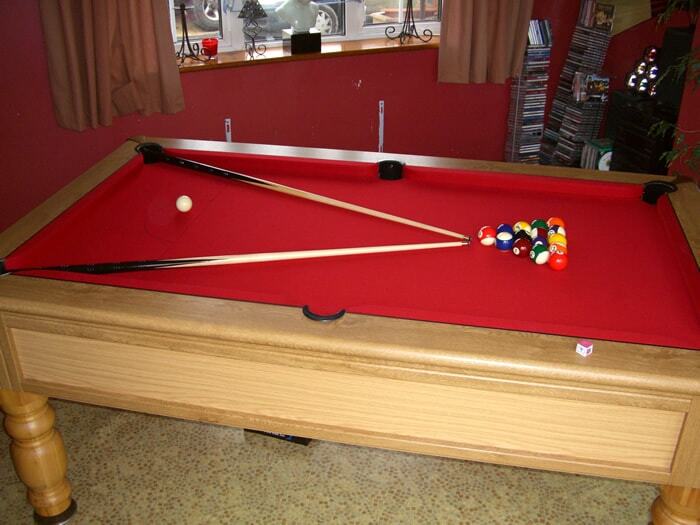 Please check your cushions are responding correctly prior to booking a pool table recovering. 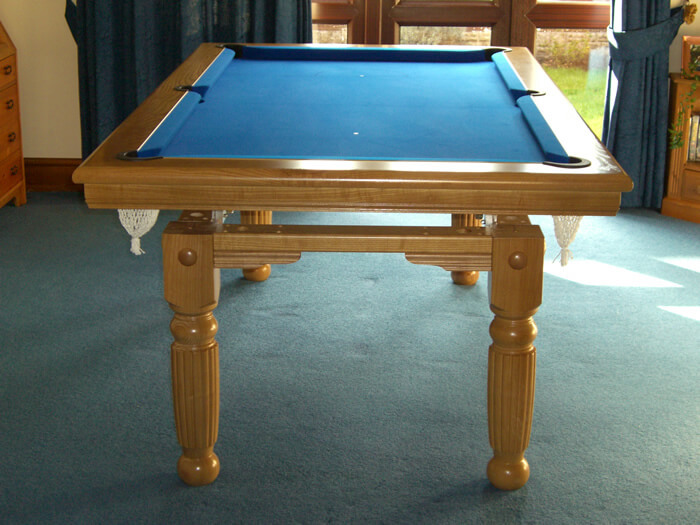 Most cushions can be replaced with a new set or we can re-rubber existing cushions. 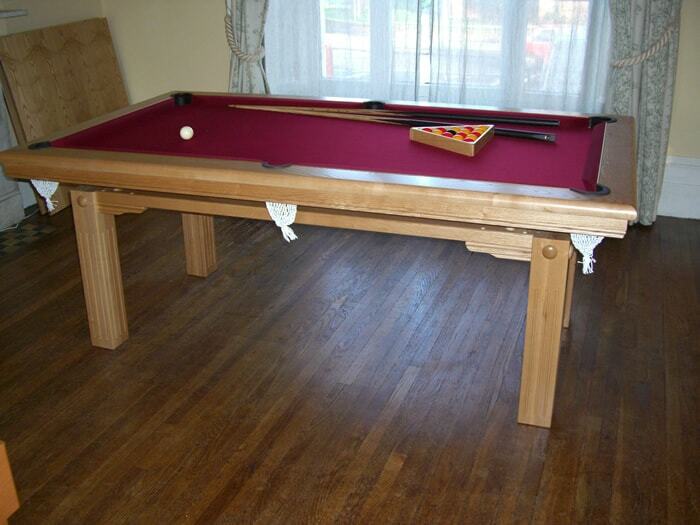 This will result in your pool table performing as new. 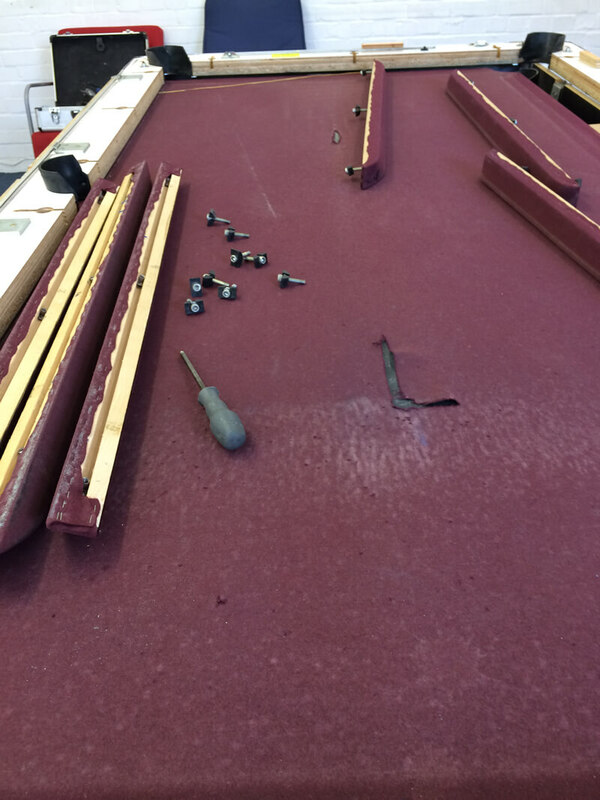 Cushions are removed and old cloth stripped ensuring that all old staples are pulled out before recovering; a lot of fitters do not do this. 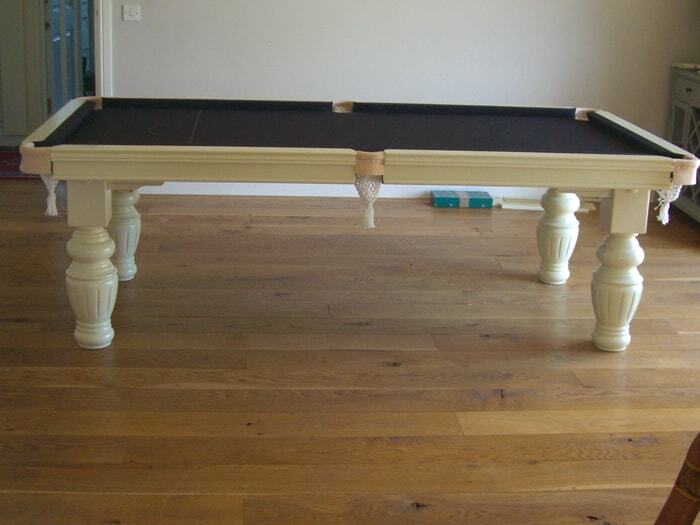 Any minor repairs to the cushions will be done at this stage i.e. 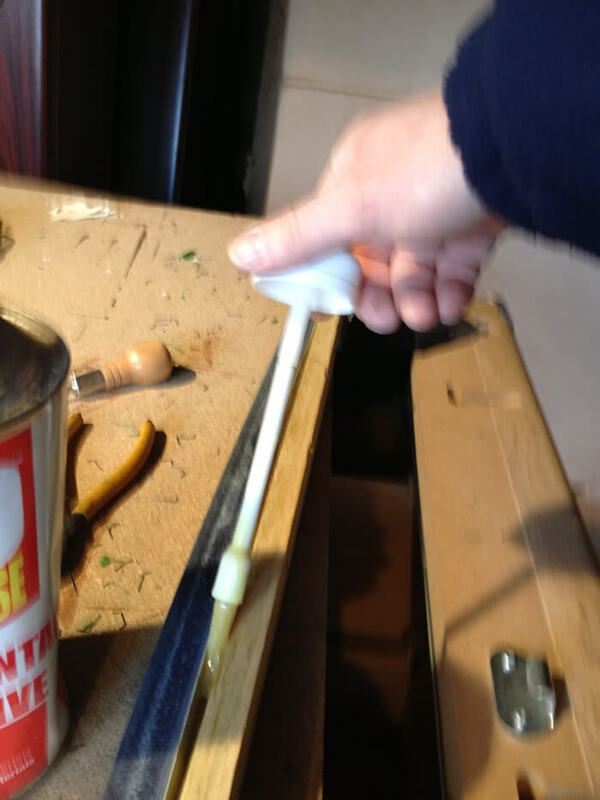 making sure there is not any loose wood and rubbers are glued back to the wood where required. 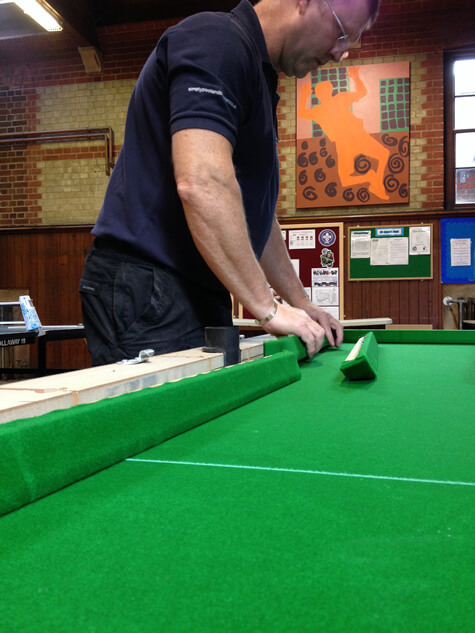 Cushions are then recovered ensuring the correct tension is applied. 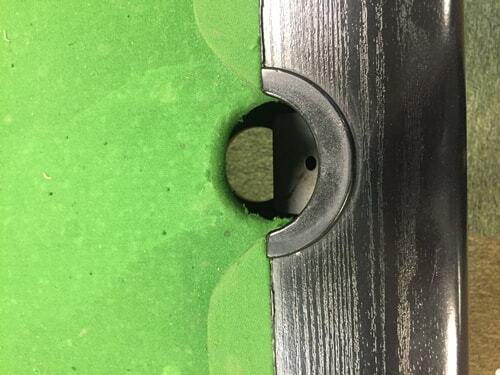 The slate is then cleaned and all old glue is scraped away prior to recovering with new cloth which will be stretched to the correct tension. 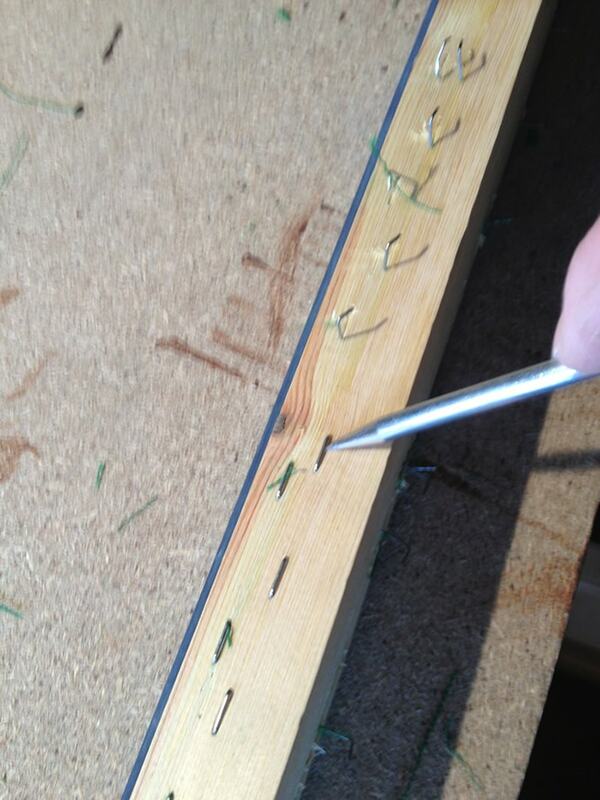 Once in place, the cloth is then trimmed around the pocket areas. 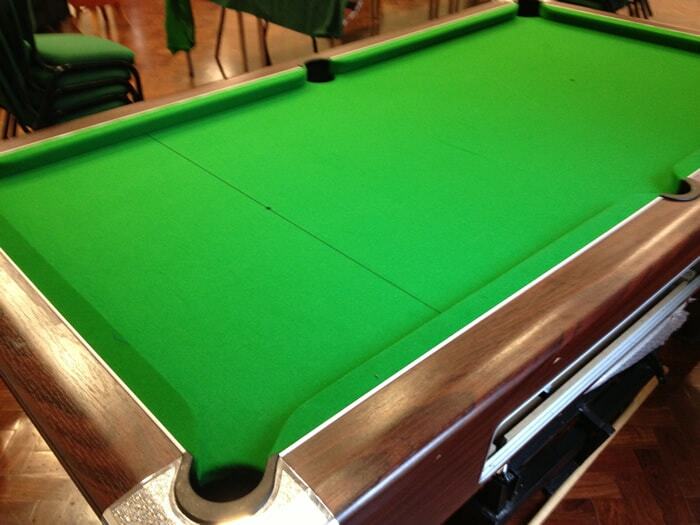 The pool table cloth is then marked out. 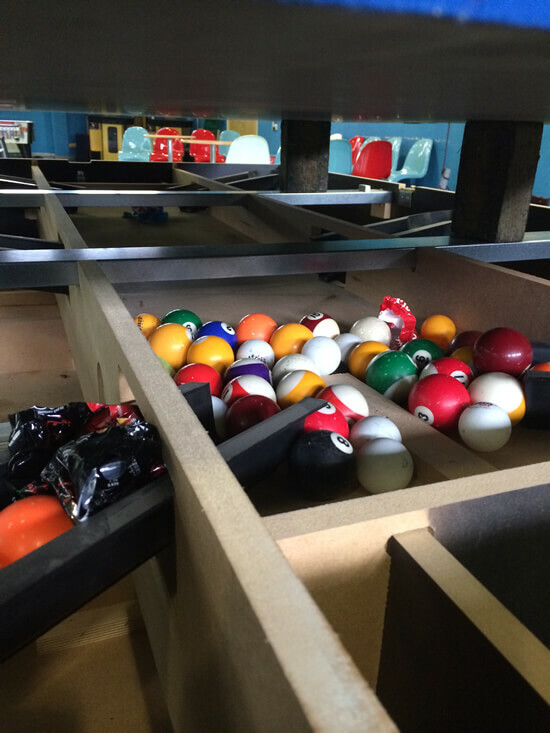 The ball runs are then checked to ensure the balls run freely and any minor repairs are carried out at this stage. 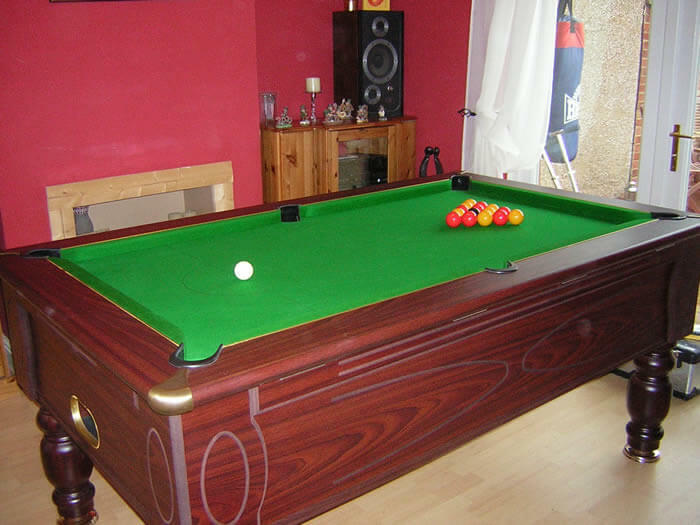 The cushions are then refitted correctly making sure that the nap of the cushion cloth runs in the same direction as the bed cloth. 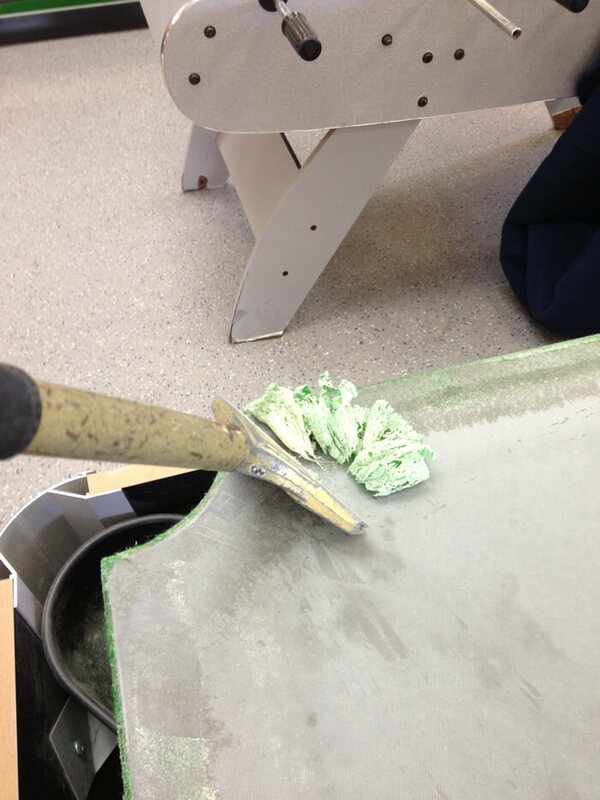 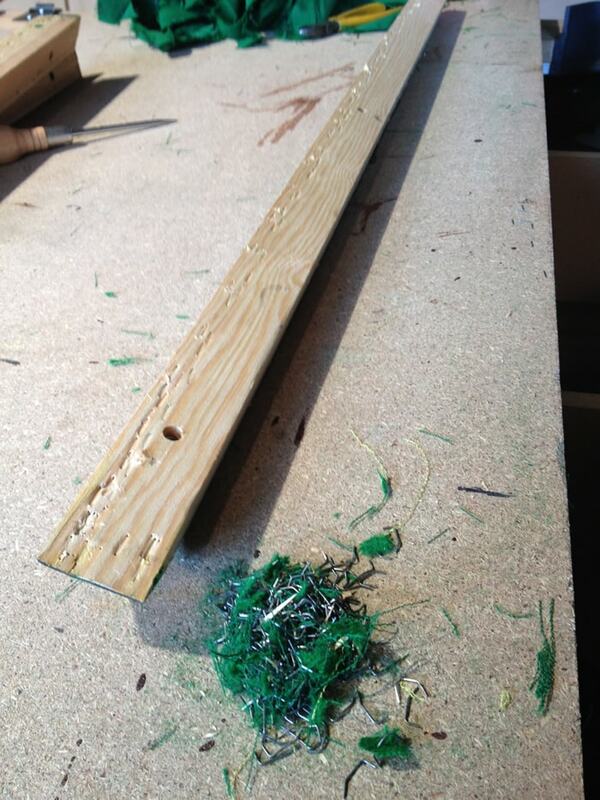 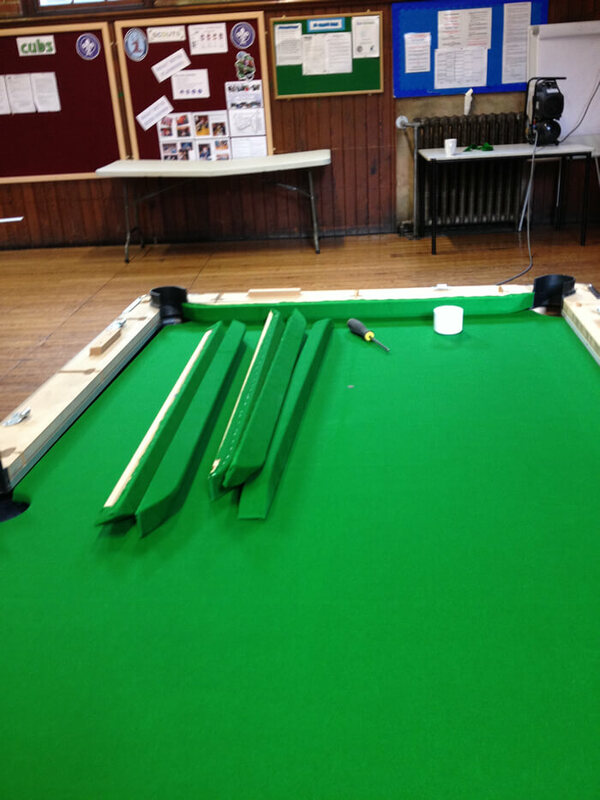 The pool table is then re-levelled ready for play using an engineer's precision level to tournament specifications. 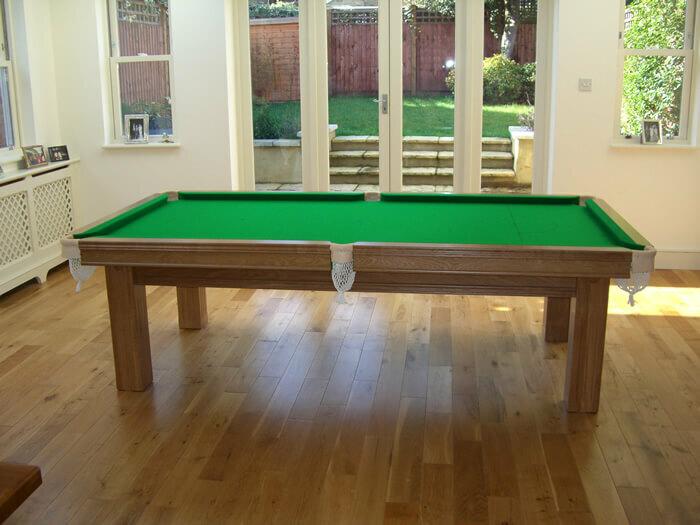 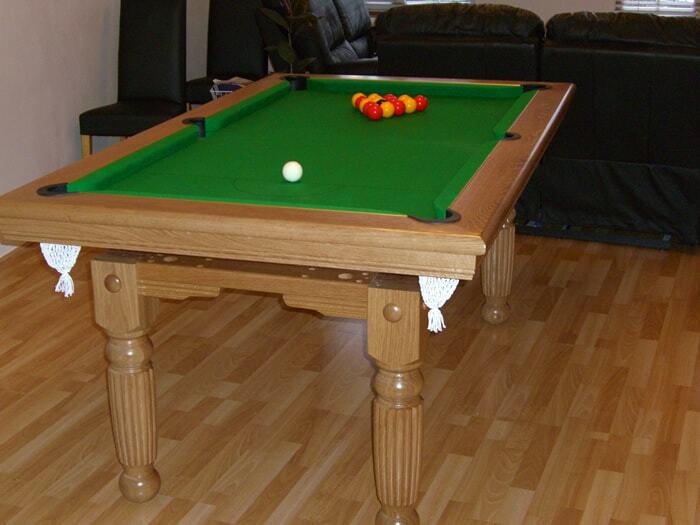 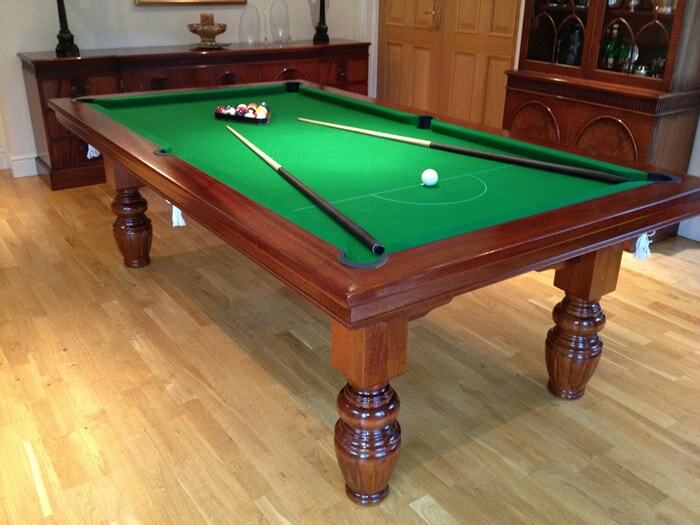 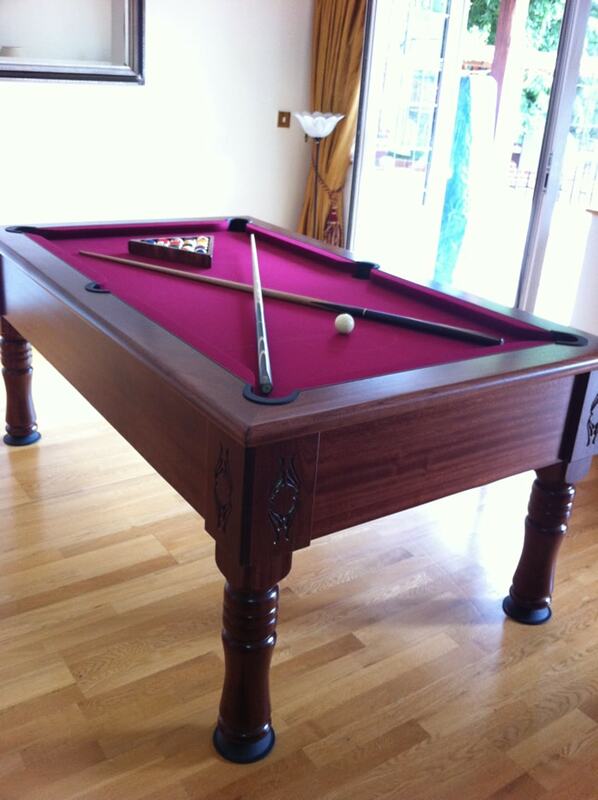 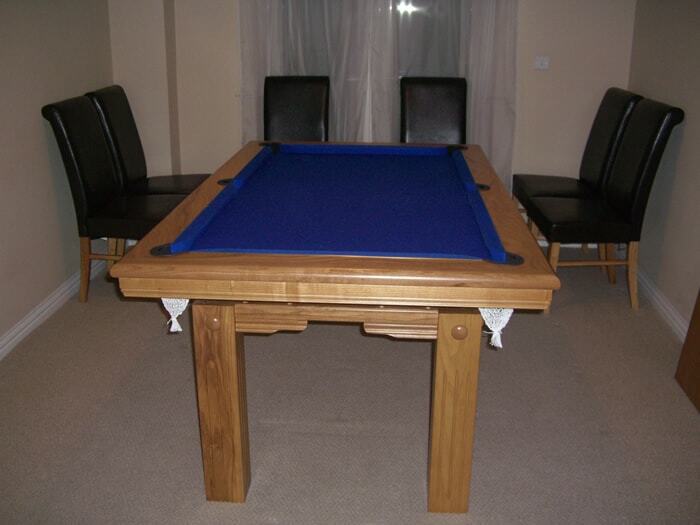 All materials, including your new pool table cloth will wear over time so it is important to look after the table. 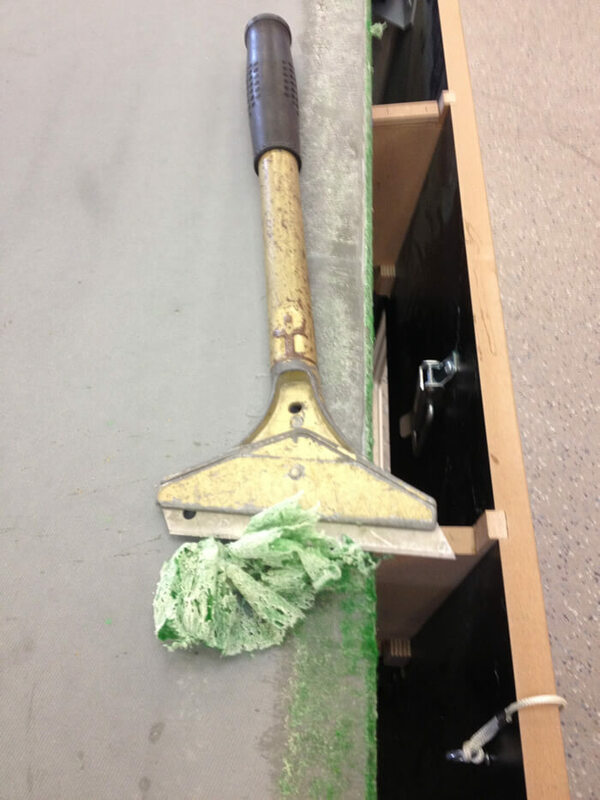 Proper brushing on a regular basis will enhance the quality of the playing conditions as well as the life span. 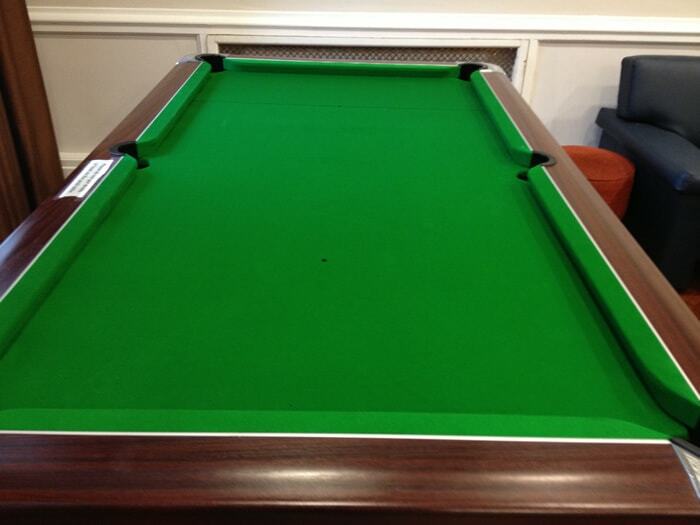 Keep the table covered when not in use to protect the cloth from dust, moisture, direct sunlight etc. 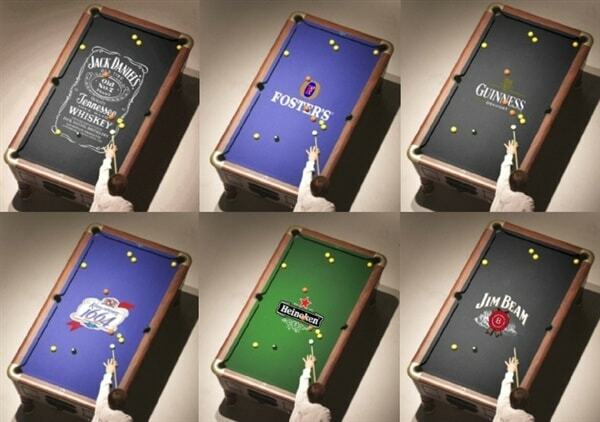 as these will all help to shorten the life of your cloth. 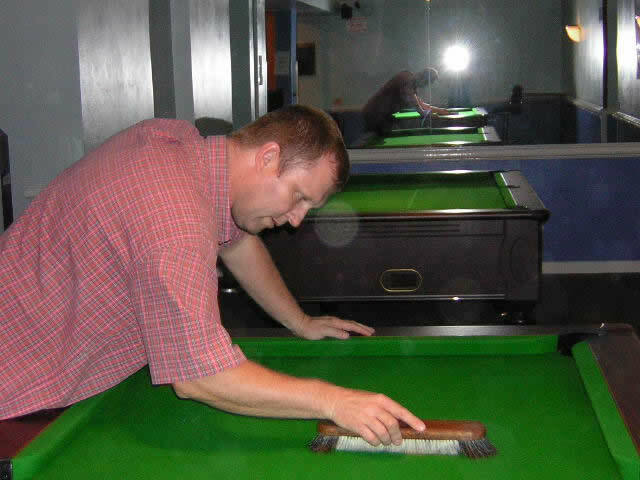 Do not flick coins on the table as this will cause nicks to appear in the cloth. 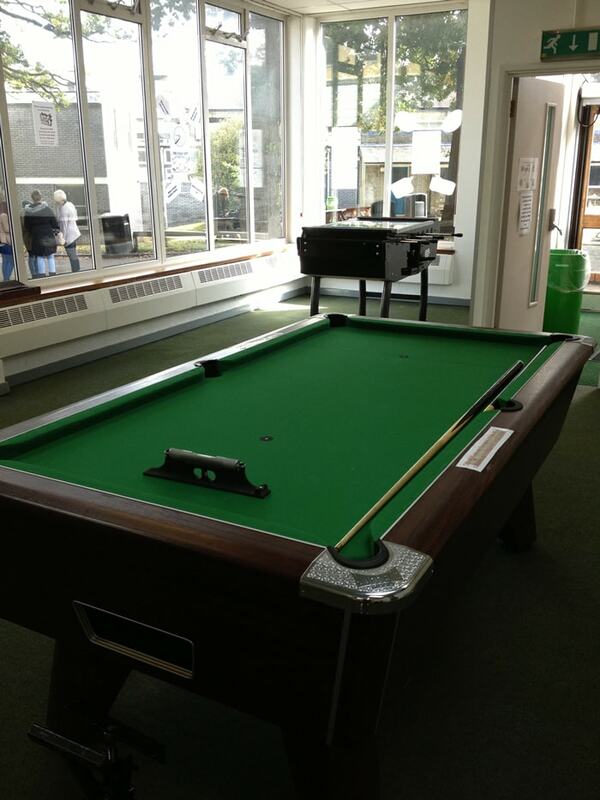 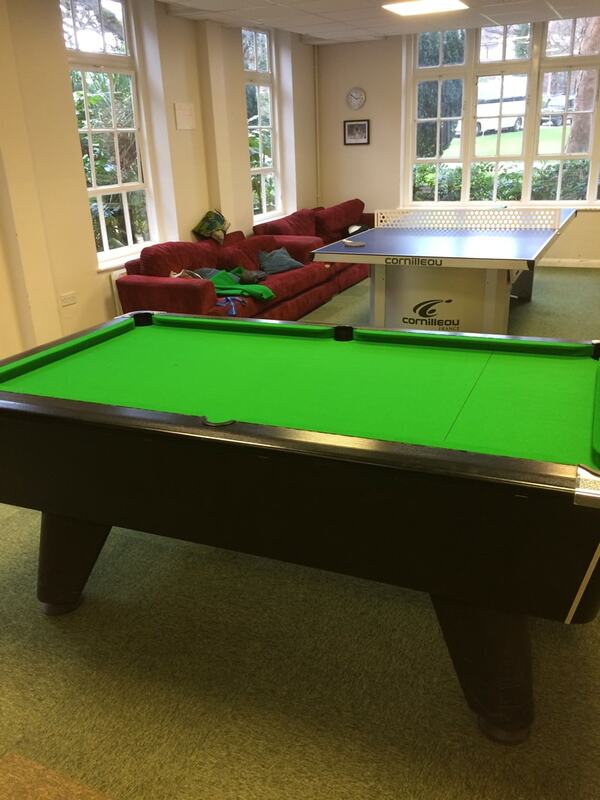 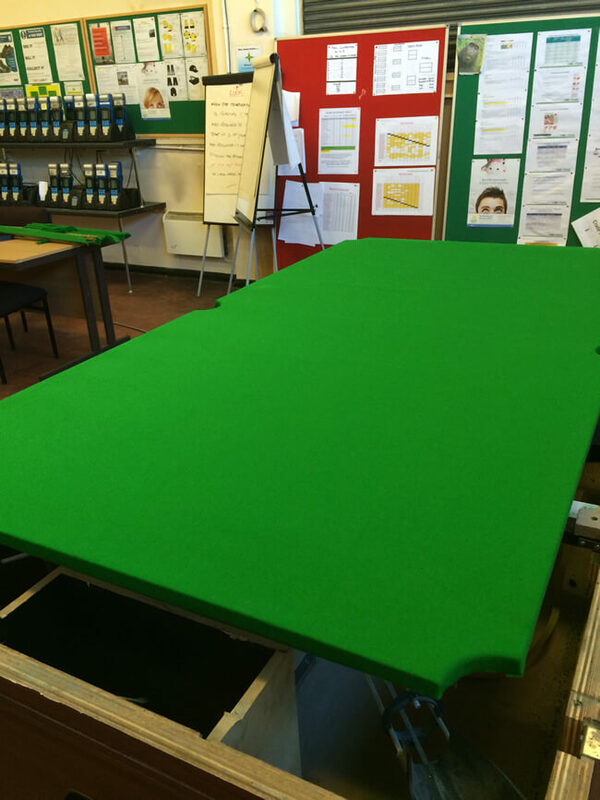 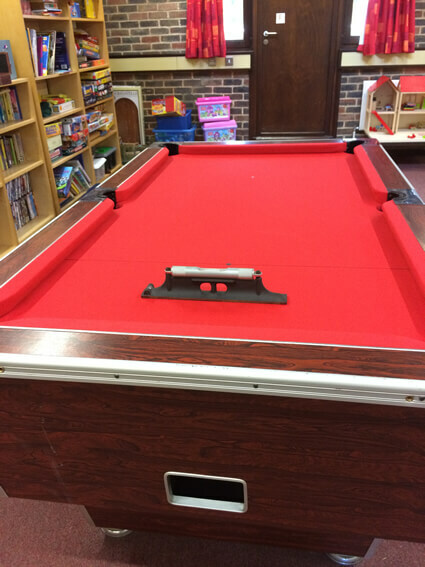 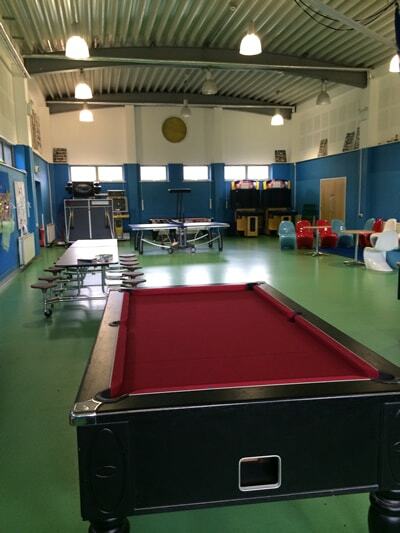 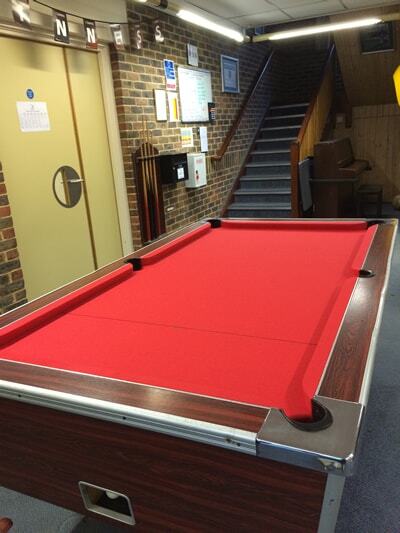 Gregor at Cranleigh School Surrey contacted us requesting a pool table recovering in wool napped cloth, Hainsworth Olive SMART was used.